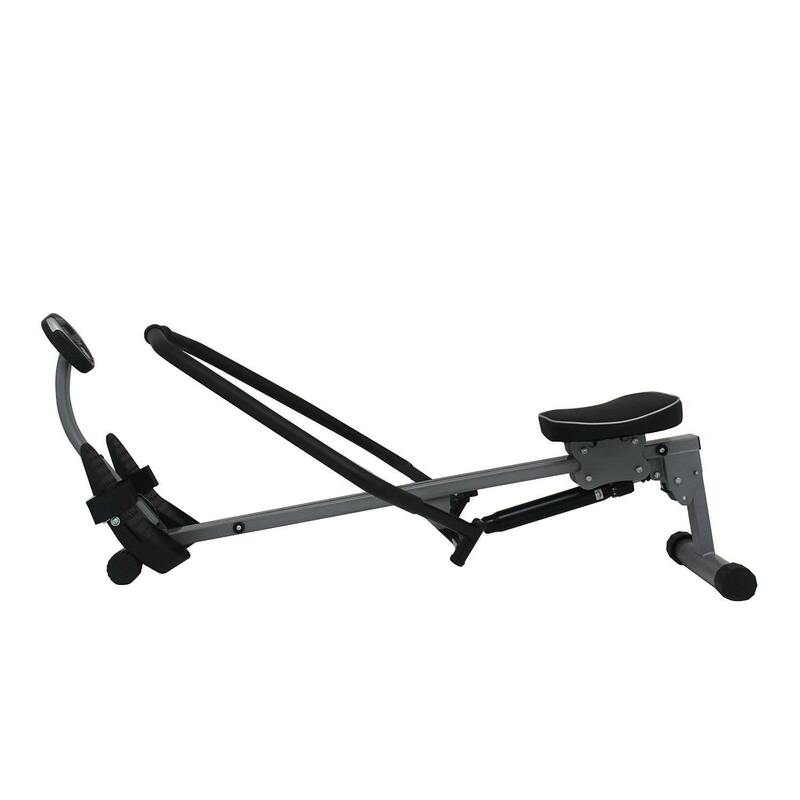 Get a true rower motion experience with the Sunny Health & Fitness SF-RW1410 Rowing Machine with Full Motion Arms. 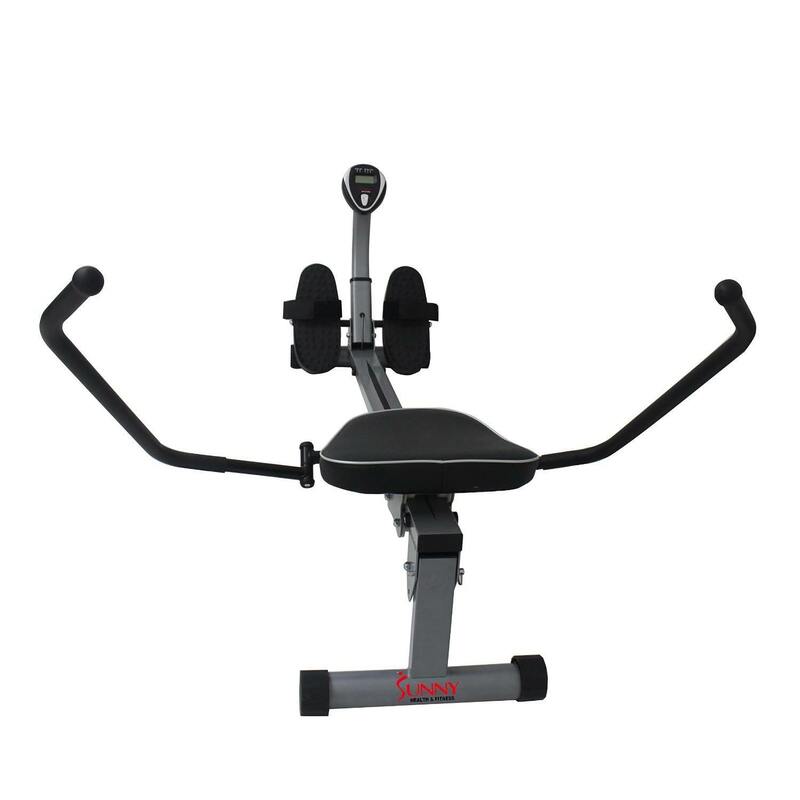 The Sunny Health & Fitness SF-RW1410 Rowing Machine offers full range movement giving a low-impact workout that targets all the major muscle groups of the body, including the legs, arms, back, abs, and glutes, as well as providing a great cardiovascular workout. 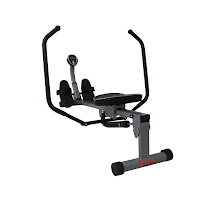 To keep you progressively challenged, the Sunny Health & Fitness SF-RW1410 Rowing Machine offers 12 levels of adjustable resistance and comes with a built-in LCD monitor that displays your workout stats such as time, count, total counts, and calories. 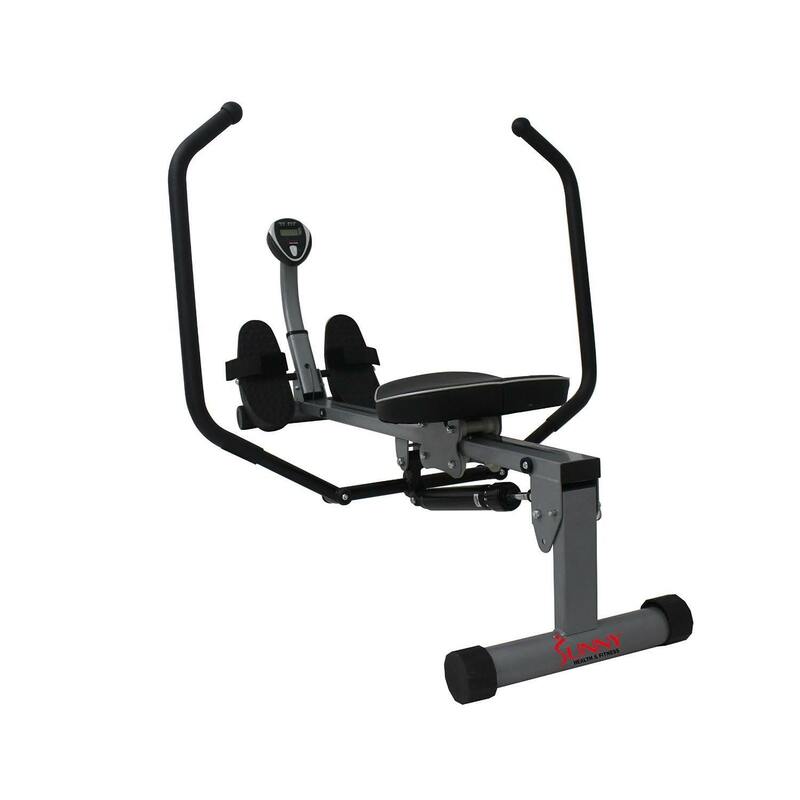 The Sunny Health & Fitness SF-RW1410 Rowing Machine is solidly built with a sleek durable steel frame for optimal support. Comfort is ensured with the rowing machine’s fully thick-padded seat that slides easily along the rail as you row, while the non-slip grip handlebars and large anti-slip pedals with adjustable straps ensure a safe workout. 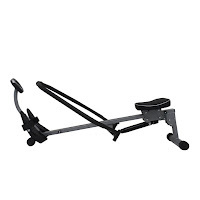 Useful tip: Rowing for just 30 minutes on an indoor rowing machine could burn between 262-449 calories for women or 310-531 calories for men, depending on the intensity of the rowing.